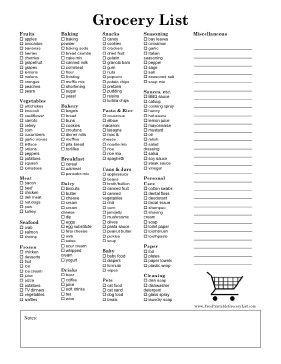 This detailed printable grocery list is a full page in size and lists many commonly purchased foods and other items, neatly categorized. It also includes lines for miscellaneous purchases as well as a box for notes. Illustrated with a shopping cart in black and white.